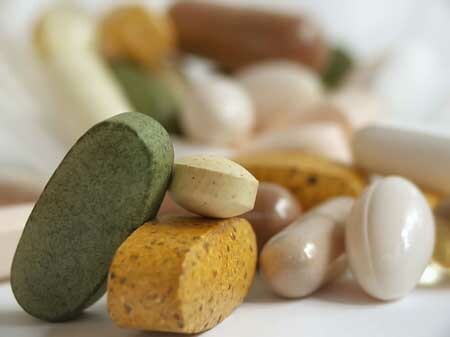 A systematic review of research on the value of pharmaceutical-grade nutritional supplements, or ‘nutraceuticals,’ in depression treatment has found that several do indeed improve depression symptoms. The 2016 review by Jerome Sarris and colleagues in the American Journal of Psychiatry found that the following nutraceuticals primarily produced positive results compared to placebo: omega-3 fatty acids (primarily EPA or ethyl-EPA); vitamin D; l-methylfolate (a more potent form of folic acid); and S-adenosyl methionine or SAMe, a beneficial compound created from toxic homocysteine with the help of folate. Editor’s Note: Most of these compounds can also be useful in bipolar depression. 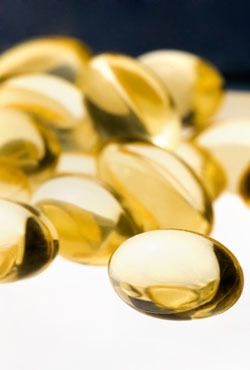 Omega-3 fatty acids and vitamin D are helpful to many patients. L-methylfolate is particularly helpful to the 30% of the population with a MTHFR deficiency that interferes with the ability of folate to break down homocysteine. SAMe is an exception—while it is effective in unipolar depression, it may cause switching into mania in patients with bipolar disorder. The researchers identified a few additional nutraceuticals that each had one study supporting their use—creatine, sometimes used by weightlifters to provide extra energy to muscles; folinic acid, which can protect bone marrow and other cells during chemotherapy; and a combination of amino acids. Results from studies that compared other compounds to placebo were mixed. Those included studies of zinc, folic acid, vitamin C, and the amino acid tryptophan. A study of inositol, a compound found in plants that is not normally digestible, had nonsignificant results. No serious side effects were observed in any of the studies of nutraceuticals, though some caused minor digestive disturbances. Editor’s Note: Another beneficial nutraceutical that did not appear in the review article is N-acetylcysteine. In 6- to 8-week studies, NAC improved depression and anxiety compared to placebo. It also improved bipolar depression and reduced many habits and additions in non-bipolar patients. These include cocaine and gambling addition, alcohol and nicotine use, trichotillomania (compulsive hair-pulling) and obsessive compulsive disorder (OCD). Omega-3 fatty acids are found in some green vegetables, vegetable oils, and fatty fish. 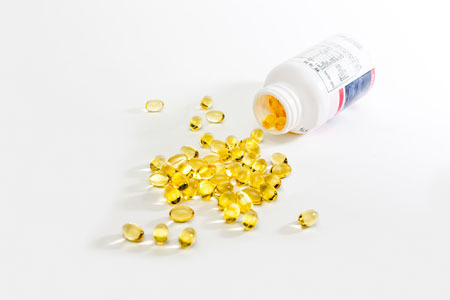 There is some evidence that omega-3 fatty acid supplements can reduce depression, but researchers are trying to clarify which omega-3s are most helpful, and for whom. A new study in Molecular Psychiatry suggests that depressed people with higher inflammation may respond best to EPA omega-3 fatty acids compared to DHA omega-3 fatty acids or placebo. Researchers led by M.H. Rapaport divided people with major depressive disorder into “high” and “low” inflammation groups based on their levels of the inflammatory markers IL-1ra, IL-6, high-sensitivity C-reactive protein, leptin, and adiponectin. Participants were randomized to receive eight weeks of treatment with EPA omega-3 supplements (1060mg/day), DHA omega-3 supplements (900mg/day), or placebo. While overall treatment differences among the three groups as a whole were negligible, the high inflammation group improved more on EPA than on placebo or DHA, and more on placebo than on DHA. The authors suggest that EPA supplementation may help relieve symptoms of depression in people whose depression is associated with high inflammation levels, a link common among obese people with depression. Editor’s Note: These data add to a study by Rudolph Uher et al. in which people with high levels of C-reactive protein responded better to the tricyclic antidepressant nortriptylene, while those with low levels of the inflammatory marker responded better to the selective serotonin reuptake inhibitor antidepressant escitalopram. A new study finds that omega-3 fatty acid supplementation improves attention in boys both with and without attention deficit hyperactivity disorder (ADHD). The study by Dienke J. Bos and colleagues in the journal Neuropsychopharmacology included 40 boys (aged 8–14) with ADHD and 39 demographically matched controls. 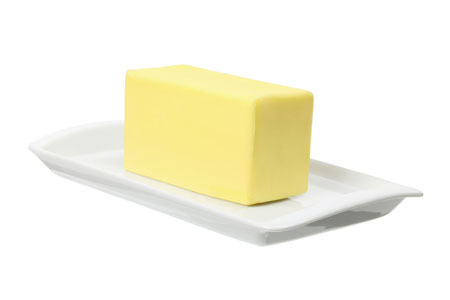 Participants were given 10 g per day of margarine supplemented with either omega-3 fatty acids (eicosapentaenoic acid (EPA) and docosahexaenoic acid (DHA)) or placebo. The children who received EPA/DHA supplementation showed improvements in attention (as rated by parents) compared to those who received placebo. Improvement was greater in the children with ADHD. Supplementation did not affect cognitive control or brain activity on functional magnetic resonance imaging (fMRI). Those boys who received omega-3s showed higher DHA levels on followup.